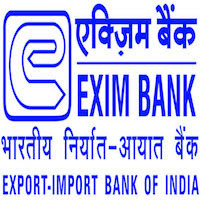 Online Application Details for Export-Import Bank of India Exim Bank Recruitment of 9 Officer Trainees is given below. Application form and duly attested documents are to be sent to The Deputy General Manager-HRM, Export-Import Bank-of India, Centre One Building, Floor 21, World Trade Centre Complex, Cuffe Parade, Mumbai - 400005. In envelope super scribed with 'Application for the Post of Post Name'.